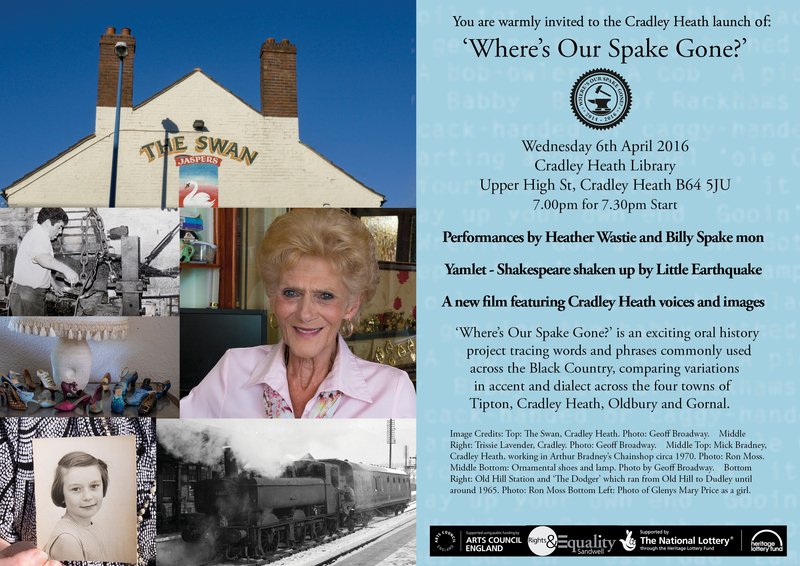 ‘Where’s Our Spake Gone?’ was a Heritage Lottery Funded project that records and celebrates the distinctive dialect and language of the Black Country. 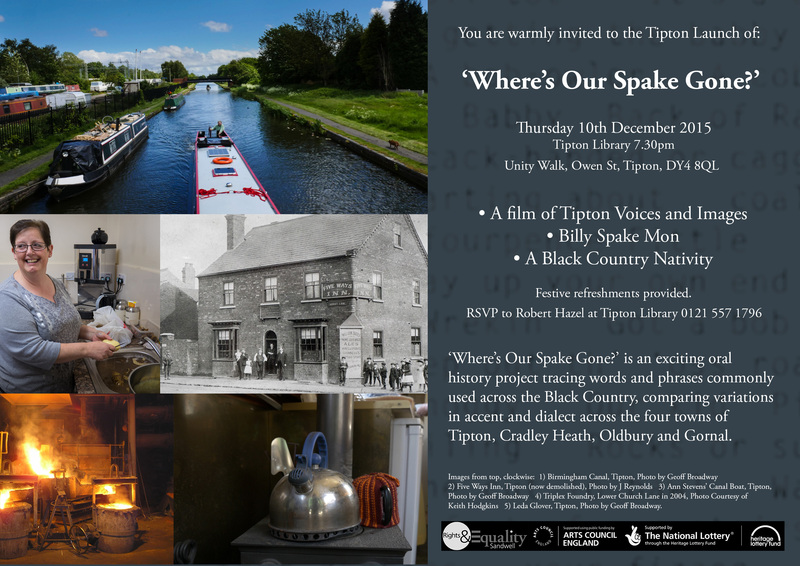 The project focused upon the four Black Country towns of Tipton, Gornal, Oldbury and Cradley Heath. It featured the recording of over seventy new oral history interviews; the production of contemporary photographic essays and short films; creative workshops; four artist commissions; four celebratory events featuring performances and exhibitions; and the publication of the project book Our Spake and an accompanying DVD. From September 2015 to July 2016 I managed the project, working alongside the coordinator Juanita Williams. 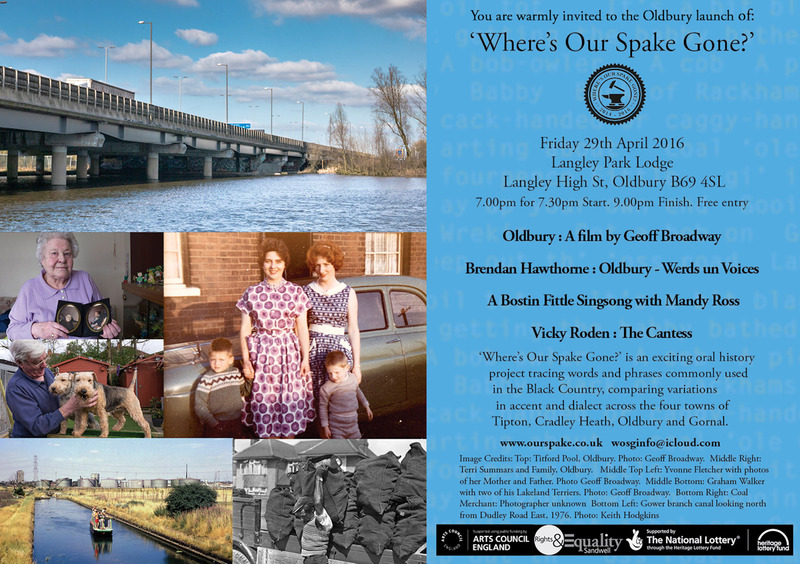 We were awarded additional funding by Arts Council England to develop the creative element of this project. 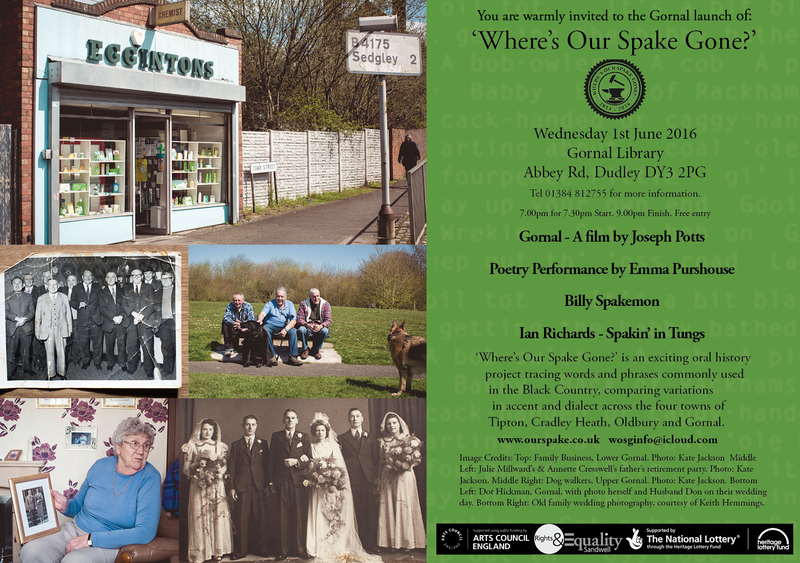 Please visit our website Our Spake to read more about this project.